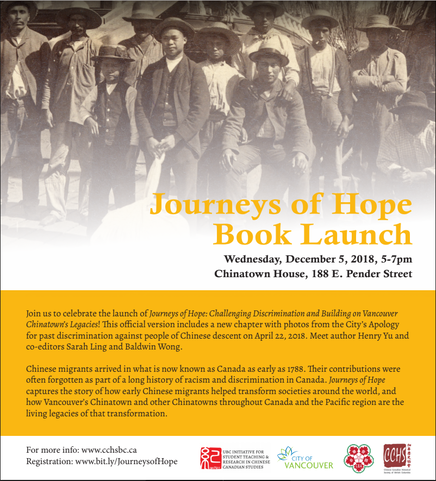 Join us to celebrate the launch of Journeys of Hope: Challenging Discrimination and Building on Vancouver Chinatown's Legacies! This is a fantastic opportunity to meet with author Henry Yu, as well as co-editors Sarah Ling and Baldwin Wong to learn more about this incredible publication! Chinese migrants arrived in what is now known as Canada as early as 1788. Their contributions were often forgotten as part of a long history of racism and discrimination in Canada. Journeys of Hope captures the story of how early Chinese migrants helped transform societies around the world, and how Vancouver's Chinatown and other Chinatowns throughout Canada and the Pacific region are the living legacies of that transformation. 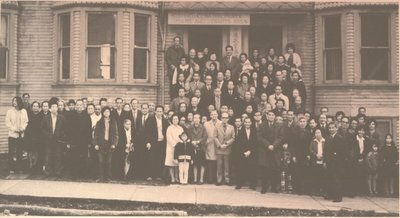 This official version of Journeys of Hope includes a new chapter with photos from the City's Apology for past discrimination against people of Chinese descent on April 22, 2018. The hard cover edition of Journeys of Hope will be availale for purchase at the book launch for $40.00. 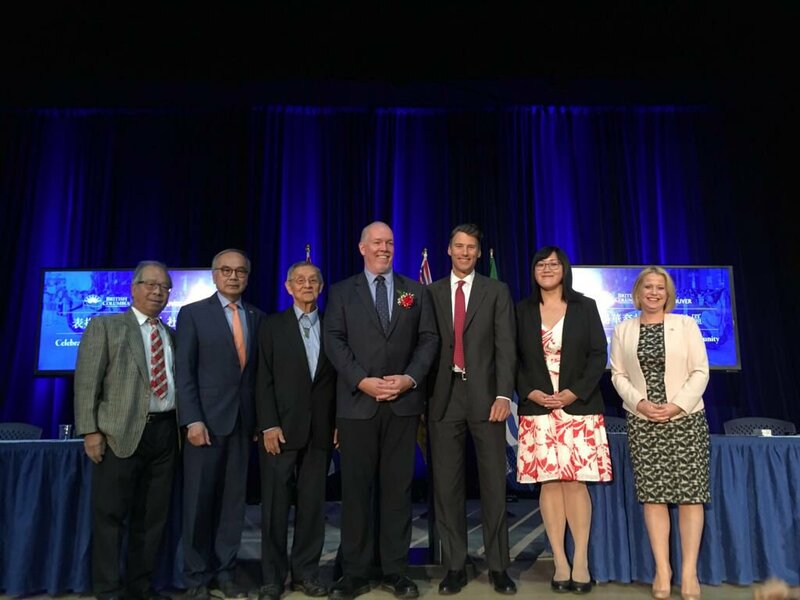 On April 22, 2018, Vancouver City Council convened a Special Council meeting in Chinatown where Mayor Gregor Robertson delivered a formal apology for past discrimination against people of Chinese descent. City Council also adopted a set of recommended legacy actions from the Historical Discrimination Against Chinese People (HDC) Advisory Group. The core recommendation was to develop an inclusive process towards a UNESCO World Heritage designation for Chinatown. With these commitments in mind, the Chinese Canadian Historical Society of BC (CCHSBC) along with the Vancouver Public Library has invited Melody Ma of #SaveChinatown YVR and Wendy Au, Consultant for the City of Vancouver Chinatown Initative to join current CCHSBC President Sarah Ling for a provocative discussion on what has happened in Chinatown since the Apology, and how we can transform our city. 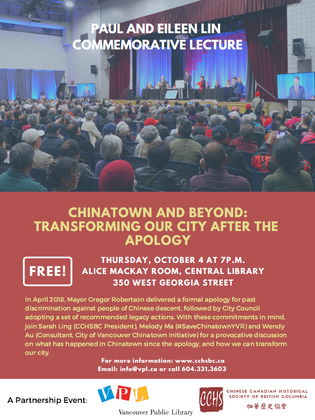 Chinatown and Beyond: Transforming Our City After the Apology is the second session of CCHSBC’s Paul and Eileen Lin Commemorative Lecture. This session challenges traditional understandings of heritage that focus solely on architectural works and grand monuments. Contemporary understanding and practice is actually quite different and complex. Rather than focusing exclusively on physical objects, cultural landscapes focus on relationships between people and their environment and the interrelationships between tangible and intangible aspects of a place. May is Asian Heritage Month! 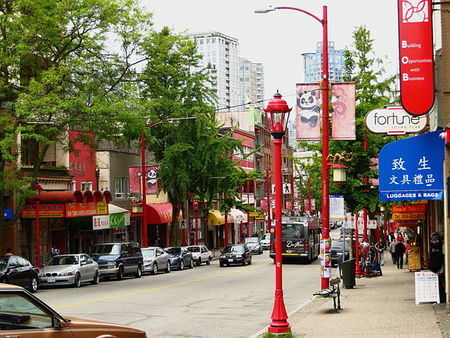 Did you miss out on April's Vancouver Chinatown Historical Walking Tour? If so, that's okay! As part of Asian Heritage Month, we are offering a free walking tour! Please join John Atkin, Bob Sung & Hayne Wai in exploring Chinatown’s unique and ever-changing cultural landscape in relation to the past, present and future. We won't know what the weather is like, but this tour is happening rain or shine! So, please dress appropriately and wear comfortable walking shoes. In December, we announced that members who renewed their membership before December 31 would be entered into a prize draw for gift certificates to New Town Bakery and Chinatown BBQ. As promised, we did the draw today (January 10). Congratulations to Lawrence Y. and Tom M! You are our lucky winners! We will be contacting you shortly. Join us at CCHSBC's Annual Celebratory Dinner in celebrating the ​Honourable Justice Randall Wong, a pioneer in Canadian law. Throughout the evening we will reflect upon the amazing legacies of Justice Wong, and enjoy great food, presentations, raffle prizes, and more! Location: Floata Seafood Restaurant, 180 Keefer St.
Tickets range from $60-80. Purchase your tickets now! ​If you're interested in reserving a full table of 10, please email us. Attention to all current CCHSBC Members! Your 2017 membership has expired*! It's time to renew your membership to ensure that you receive the latest event updates, and discounts to future CCHSBC events. We have a lot planned for 2018! Don't miss out! ​*Please note that if you purchased a membership from September 30 onward, your membership is valid until December 2018. From all the CCHSBC Board Members, we would like to thank you for helping make our 2017 AGM & Gala Dinner Honouring the Strathcona Property Owners & Tenants Association a huge success! We had a wonderful time, and we hope you did as well. Thank you to all our donors for their generosity - John Atkin, A Wok Around Chinatown (Bob Sung), Hayne Wai, Gail Yip, Walter Quan, Granville Island Brewing, The Dr. Sun Yat-Sen Classical Chinese Garden, Barkerville Historic Town & Park, New Town Bakery, Ming Wo, The Chinese Tea Shop, Museum of Vancouver, Vancouver Canadians. "Food Fight: An Eggistential Tale" is created for UBC's HIST 482 by Team Eggcellent (Alyssa Sy de Jesus, Diana Quan, Felix Chiu, Felix Lo, Shirley Li, Terence Lee, Tom Barker, Wallis Tsang). What Can the UNESCO World Heritage Designation Do for Chinatown? 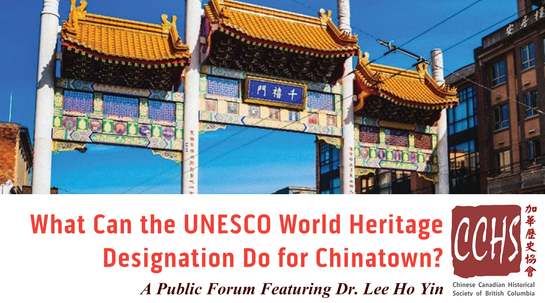 We are pleased to host a public forum on the implications and benefits of earning the UNESCO World Heritage designation for Chinatown. To facilitate the conversation, we have invited Dr. Lee Ho Yin, University of Hong Kong, to share his expertise and experience in UNESCO-related heritage conversation and development projects. The initiative to apply for the UNESCO World Heritage status is one of the recommendations put forward by the Historical Discrimination Against Chinese People in Vancouver Committee's final report, which was approved by Vancouver's City Council on October 31, 2017. 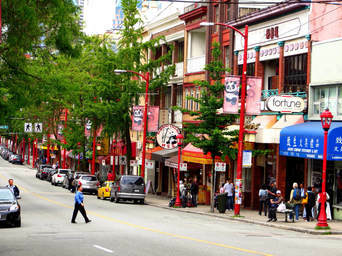 Promoting Chinatown's cultural heritage and sustainability in a respectful manner is an integral part of the city's ongoing reconciliation efforts. Biography:​ Dr. Lee Yo Hin is a renowned scholar and experienced practitioner of heritage conservation in Hong Kong, Singapore, and Southeast Asia. 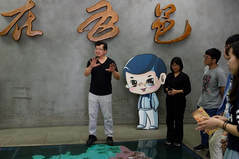 He is one fo the founders and current Division Head of the University of Hong Kong's Architectural Conservation Programmes, and has been appointed by UNESCO and government agencies as an expert advisor for various heritage projects in Hong Kong, Mainland China, Indonesia, and Singapore. Dr. Lee currently chairs the Heritage Working Group of Tai Kwun (Central Police Station Revitalisation Project) and serves on the Urban Renewal Authority's Planning, Development and Conservation Committee in Hong Kong. CCHSBC is proud to be a partner of The Heritage of Cantonese Migration Tour. In collaboration with St. John's College (UBC) and the Guangdong Qiaoxiang Research Center of Wuyi University, an amazing tour has been created! With this tour, you will have the opportunity to explore and experience the latest research perspectives on the history, cultures, and geographies of Cantonese migration from the 'Szeyup' or 'Four Counties' area of the Canton (Guangdong) Province. ​There's even the potential to visit your home village if it is in the Szeyup or Zhongshan region. Don't miss out on this fabulous opportunity! Spaces are limited so register early! Follow the route of the railway and the Gold Rush on the Gold Mountain River Bus Tour​! Join some of our CCHSBC Board of Directors on a road trip to Lytton, BC on the NIaka'pamux territory of the Lytton First Nation to visit the new Lytton Chinese History Museum! ​Thank you to everyone for their interest in the Gold Mountain River Bus Tour​! We are officially SOLD OUT​! Stay tuned for upcoming CCHSBC events! January 13, 2017 - We are saddened by the passing of Joe Wai - a passionate and vocal activist for Vancouver's Chinatown, saying what needed to be said, and standing up for what he believed was right. In the fall of 2016, Joe was nominated and awarded the Architectural Institute of British Columbia's Lifetime Achievement Award. His iconic architectural designs shaped Vancouver's Chinatown and Strathcona neighbourhoods, as did his activism. "He cared about the issues, but he also cared about the people who came together to argue, and cajole, and sometimes shout at each other about what was best for their community," said Dr. Henry Yu. Just before his passing, Joe was fighting for the preservation of Vancouver's Chinatown - attending the 105 Keefer Open House. Joe will be greatly missed. Update (January 25, 2017):​ There will be an open house memorial celebration of Joe's life on Sunday, February 5 from 2-5pm​ at the Multipurpose Hall of the Chinese Cultural Centre (50 East Pender). Welcome remarks will begin at 3pm. In lieu of flower, the Wai Family would greatly appreciate donations to the Dr. Sun Yat-Sen Classical Chinese Garden or the Chinese Cultural Centre. Additionally, the Dr. Sun Yat-Sen Classical Chinese Garden will be open to the general public free of charge on the day of Joe's Celebration of Life. January 9, 2017 - Save the Date! CCHSBC's 2017 AGM will be on April 8! Mark your calendars! 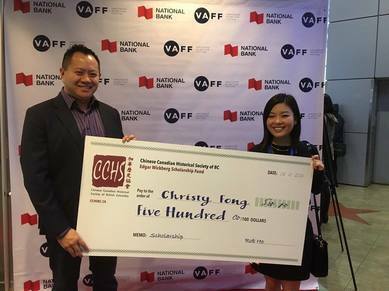 November 6, 2016 - Congratulations to 2016 Undergraduate Wickberg Prize winner Christy Fong for her research on the 1968-1979 barbecue meats protests of Vancouver’s Chinatown, specifically on the intersection of racialised legislation, community activism, and oral histories. Christy recently graduated from the University of British Columbia with a B.A. in English Literature (Honours), and a minor in Asian Canadian & Asian Migration Studies. She co-produced a documentary - Under Fire: Inside a Chinese Roasted Meats Shop in Vancouver. September 30, 2016 - CCHSBC Announces the Launch of the Paul and Eileen Lin Commemorative Fund​. Join us at CCHSBC's Annual Gala Dinner in honour of Strathcona Property Owners & Tenants Association​ (SPOTA)! The evening will reflect upon the great work that SPOTA has done and include great food, raffle prizes, and a video feature from the winner of the Ed Wickberg Undergraduate Prize - Christy Fong. Learn More & Purchase Your Tickets Now! ​​​CCHSBC is proud to be a sponsor of the encore screening of All Our Father's Relations. This documentary tells the story of the Grant siblings who journey from Vancouver to China in an attempt to rediscover their father's roots and better understand his fractured relationship with their Musqueam mother. The Grant family and their story reveals the shared struggles of migrants and Aboriginal peoples today and in the past. Ring in Chinese New Year with family and friends, and learn about hidden histories of early First Nations and Chinese Canadian relations on Musqueam territory in British Columbia. Tickets are on sale now! Over 50% sold! Don't miss this opportunity to see this award-winning documentary! ​Proceeds from this fundraiser will go towards widely distributing the film to a broader audience. World Premiere of All Our Father's Relations at VAFF and More! It is our pleasure to be one of the Community Partners at the 20th Annual Vancouver Asian Film Festival for their Canadian Short Documentaries, and for All Our Father's Relations. All Our Father's Relations tells the story of the Grant siblings who journey from vancouver to China in an attempt to rediscover their father's roots and better understand his fractured relationship with their Musqueam mother. The Grant family and their story reveals the shared struggles of migrants and Aboriginal peoples in the past and today. Meet with key storytellers from All Our Father's Relations - Larry Grant and Howard E. Grant, filmmakers - Sarah Ling and Alejandro Yoshizawa, CCHSBC Board Member Hayne Wai, and more. ​This free programme is presented by the Dr. Sun Yat-Sen Classical Chinese Garden as part of the Heart of the City Festival, in partnership with VAFF, Hapa-palooza Festival and CCHSBC. Discover the secretive cooking methods and Chinatown's historical struggles with the iconic dish - roasted pig - against municipal, provincial, and federal legislation in this documentary short featuring rare soundbites from "Pender Guy", the 1970's grassroots raidio program.